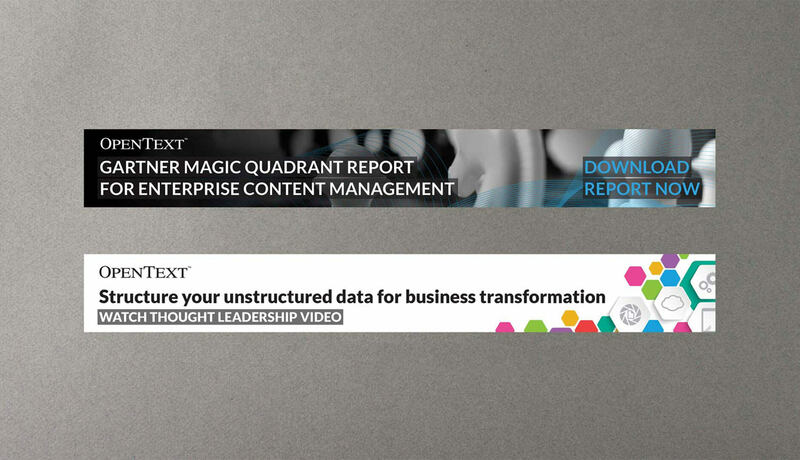 For every event, session, webinar, campaign, etc. 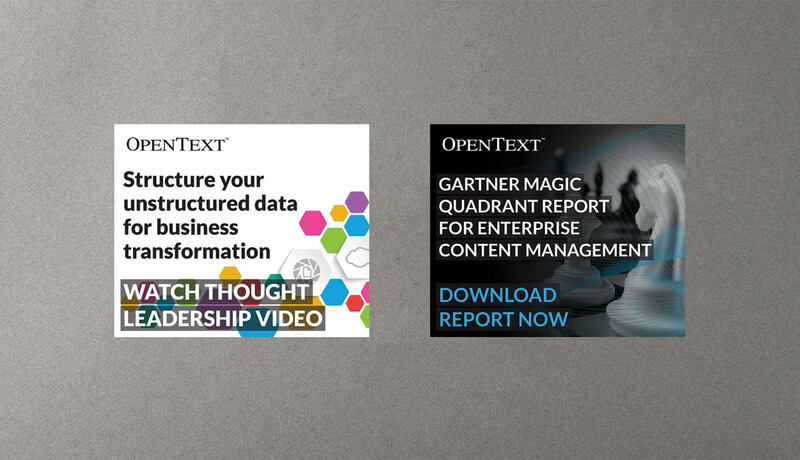 that OpenText produces, there is almost always corresponding advertisements needed for the web. 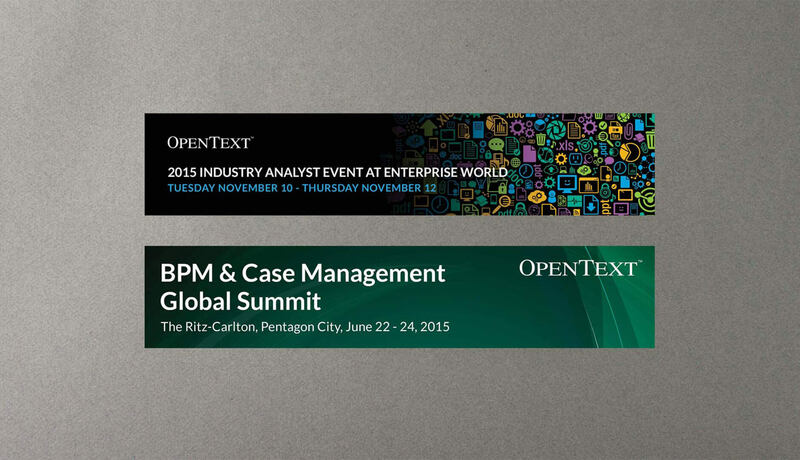 These are just some of the very many OpenText Internet Banners that I produced for OpenText. 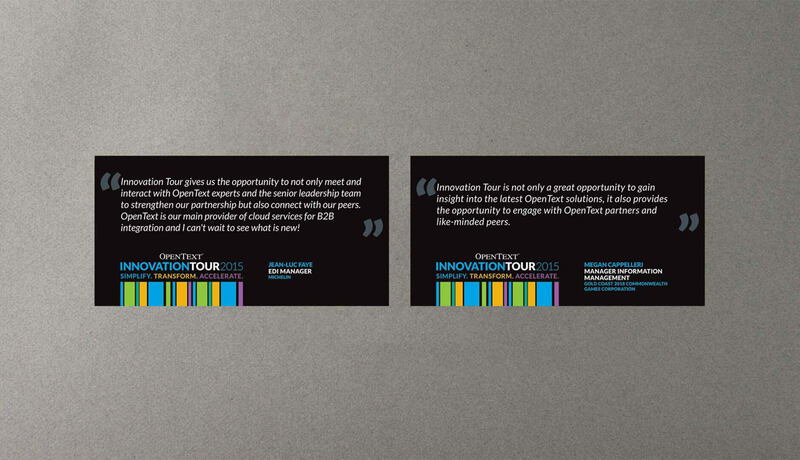 The events range from the OpenText Innovation Tour to very specific products and services. 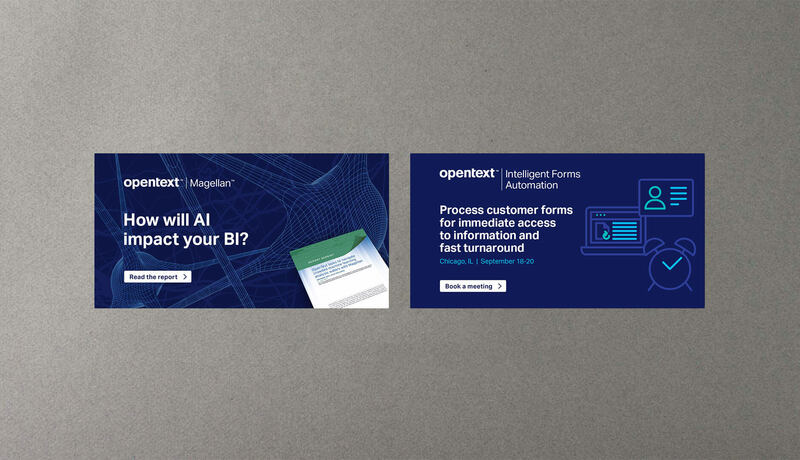 All the banners followed a standard template based on the event type or what was being shown. 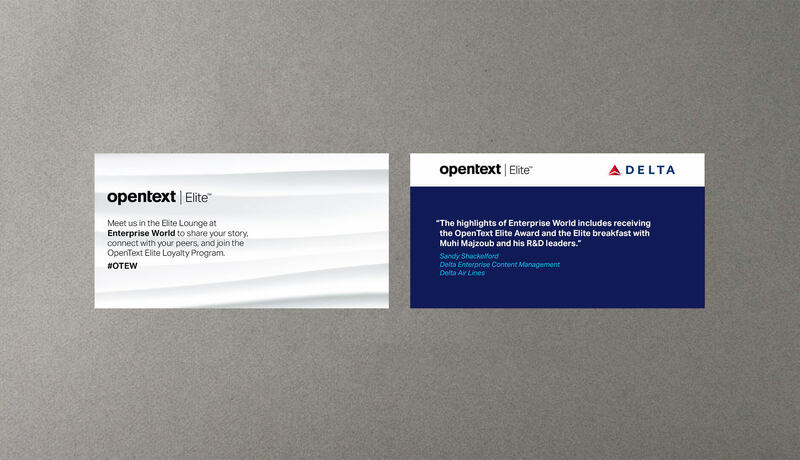 Most of the banners had their own branding and this branding was also shown throughout the banners. This related the advertisement to the final destination of the link provided when you clicked the banner.